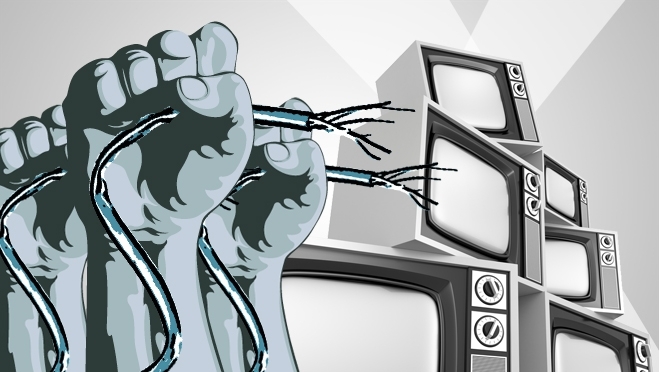 Is cutting the cord for you? 6 years ago, while I was still in college, I officially said goodbye to cable and I’ve never let it rear it’s ugly head again in my household. Why? There are far too many options available on the internet that provide the same level of enjoyment. When you think of TV, you think of something that requires you to sit down at a certain time at a certain interval everyday or every certain scheduled amount of days for you consume some type of event or television show. However, when you think of entertainment in relation to the internet you can get these things whenever and wherever you please so it’s much more of a come as you and grab what you want type of experience. This is the absolute greatest for me because I refuse to build my schedule around what comes on a black box in my living room, it’s ludicrous. Yet, why do we see so many people that conform to the norm of having a cable subscription with more channels than they will ever watch? Cutting the cord is easy if you have a plan. For some, cutting the cord is simply too difficult. However, nothing is too difficult in a day and age where a quick Google search can tell you everything from Obama’s age to how far Jupiter is away from the planet that we dwell on. So being “too difficult” IS NOT a valid excuse. The above list are just a few avenues that you can take to begin cutting the cord. It is feasible and certainly the way of the future. Take control of your experience, don’t be the person that creates their lives based on what TV has to offer!